Although the recession is behind us, many industries are still struggling. But the Business Owners Forum crew thought we’d end the year on a more positive note than that! So the final event for the year will feature the topic “How my Business Thrived in the Recession”. Join us to hear some powerful lessons and stories from a panel who have bucked the trend and thrived during this difficult period. 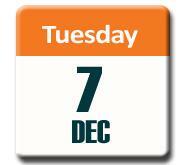 Tuesday 7 December – 5:30pm to 7:00pm at the BNZ Partners Centre >>> 61 Constelletion Drive, North Harbour. Thursday 9 December in Whangarei – click here >>> for full details of this event. Grant Hewson, General Manager of Accomplish Global. Grant has succesfully led the growth of the Accomplish brand internationally during a time when business to business growth has been tough to say the least. Judy McGrath, owner of Flying Flowers. Business in the retail space has been challenging over the past two years – and there is not a lot of light at the end of the tunnel. Join us to hear Judy’s story. Ngaio Merrick, Business Development Manager of Auckland Tourism, Events and Economic Development – or better known pre-super-city as Enterprise North Shore. Ngaio has worked with businesses of all ilks during the tough times – and she knows first hand what has separated the successes from the rest. As always, Business Owners Forum events are targeted to owners of businesses in the $1 million plus turnover bracket – although all business owners are very welcome. These events are free of charge to attend – supported by BNZ Partners, Waterstone Insolvency, The Bottom Line Expense Reduction, Auckland Tourism, Events and Economic Development – and Elevate CA. There is never a sell from the supporters – BOFs are just a way to give something back to the business communities that allow us all to thrive. If you’d like to join us – or to be included on the invite list for future BOF events, just email Fraser Hurrell by Monday at fraser@elevateCA.co.nz.